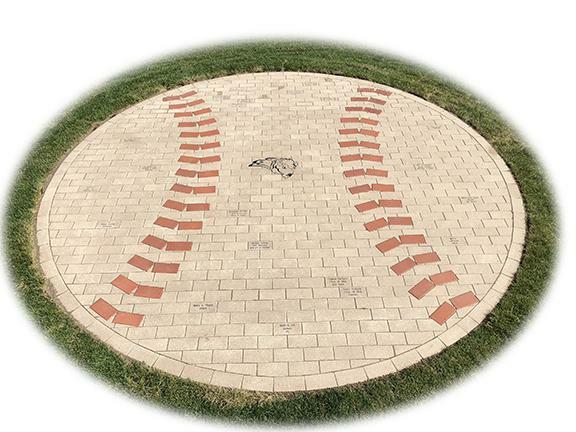 We have created a paved baseball monument with engraved bricks available for purchase to help us make capital additions to our fields. We have a long tradition of baseball families in our community and would love to reconnect with and recognize that tradition as our current players build their own legacies. Each brick is $200 and may be engraved with 2 or 3 lines of text, 16 characters per line, including spaces and punctuation. The Bison Baseball Booster Committee retains the right to approve all engravings. There are 300 gray bricks available to the public, so don't wait to order yours! Please address any questions to Bison Booster Club Chairman, Seth James. Click on this link to process your support of the Building a Legacy Fundraiser using a credit card. Thank you!